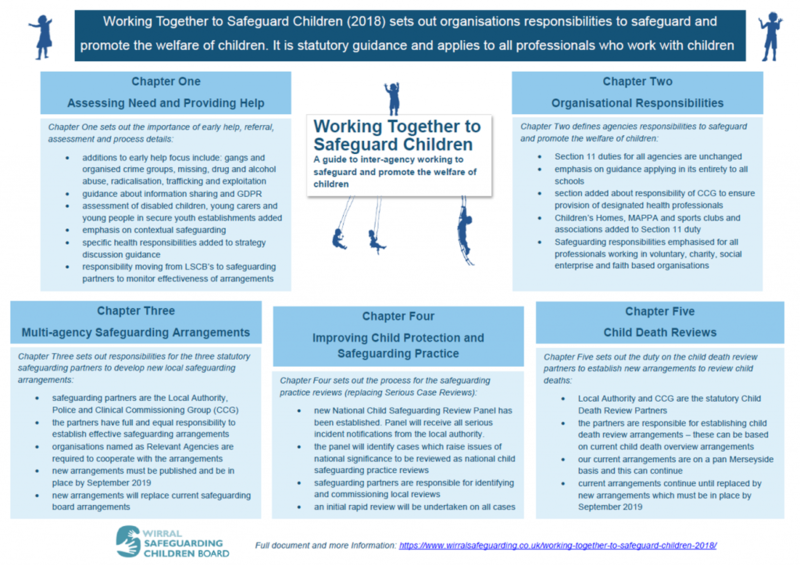 The government published the revised statutory guidance – Working Together to Safeguard Children (2018) on the 4th July 2018. The guidance replaces Working Together (2015) and applies to all organisations and professionals who work with children. 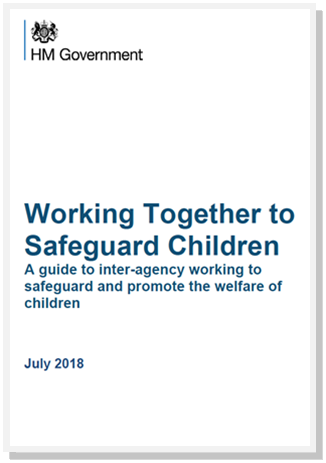 The guidance sets out what organisations must do to safeguard and promote the welfare of all children and young people under the age of 18 in England and was published following implementation of the Children and Social Work Act (2017) and a subsequent government consultation. 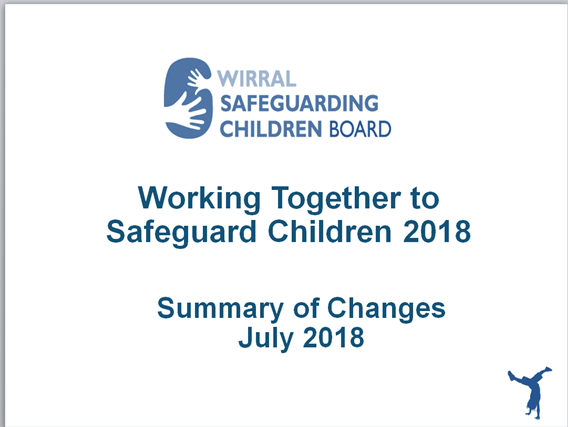 The three safeguarding partners in Wirral are currently developing an outline model for new arrangements. As the model develops updates will be provided on the WSCB website. Following notification of a serious incident safeguarding partners (and LSCB’s) are required to undertake a rapid review (15 days) of the case. The rapid review is designed to gather the facts of the case and consider whether a detailed review is likely to elicit learning or identify potential improvements to the safeguarding system. The completed review must be shared with the Panel. current local arrangements continue until replaced by new arrangements. new arrangements must be operating by September 2019. LSCB’s remain the statutory body for co-ordinating safeguarding arrangements until replace by new local arrangements. This is non-statutory guidance published by the DfE to support practitioners in the decisions they take to share information to reduce the risk of harm to children and young people. The guidance has been updated to reflect the General Data Protection Regulation (GDPR) and the Data Protection Act 2018 and it superseded the Information sharing: guidance for practitioners and managers published in March 2015.